I knew it! YouTube is full of crap. Let the chart speak for itself. Author dikkmartinPosted on September 15, 2008 Categories TechnologyTags YoutubeLeave a comment on I knew it! 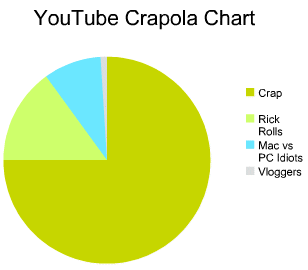 YouTube is full of crap.